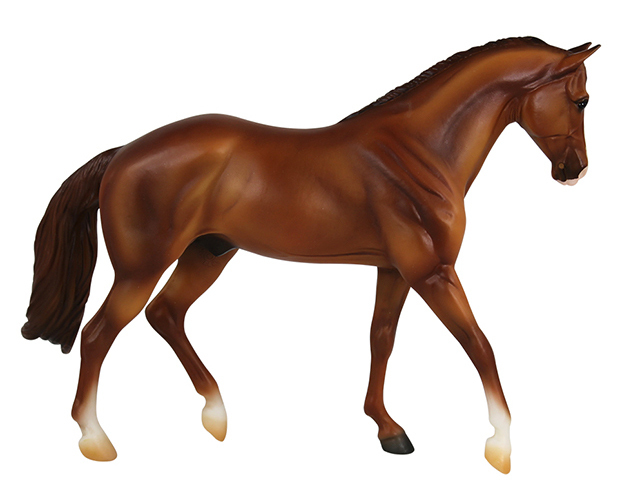 The American Quarter Horse is a "made-in-America" breed and the American Quarter Horse Registry is the largest in the world! American Quarter Horses, so named because they are the fastest horses in the world at a quarter of a mile, are a versatile breed known for their intelligence, and docile and steady demeanor. 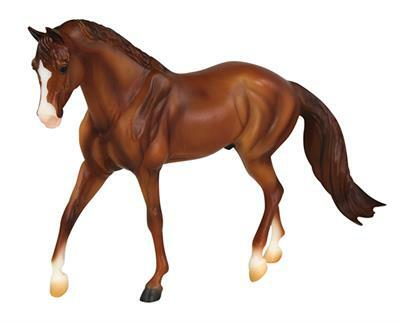 American Quarter Horses are usually fairly compact with fine chiseled heads and heavily muscled bodies with powerful shoulders and hindquarters and sturdy legs. 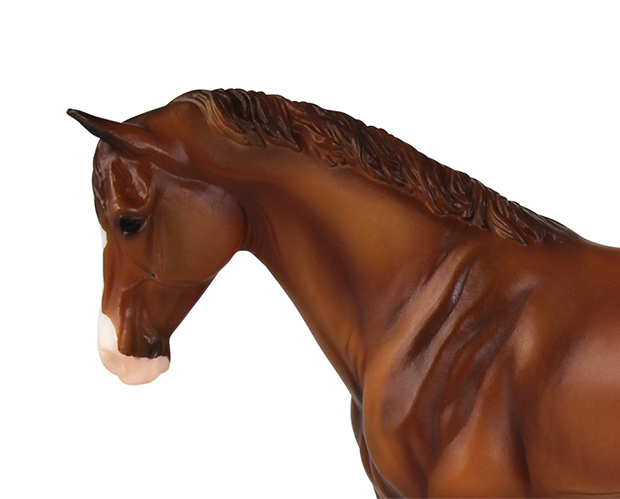 They are extremely versatile and used as family pleasure horses, show horses, racehorses and working ranch horses. 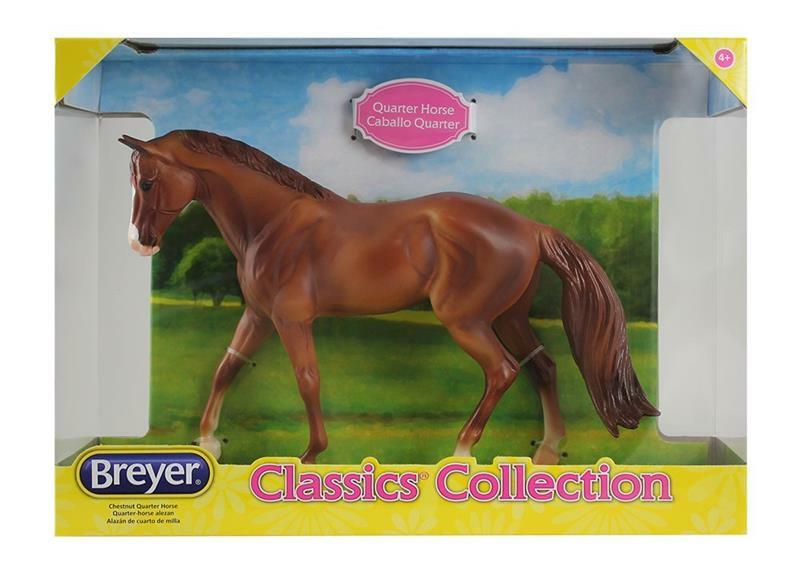 Breyer's #916 American Quarter Horse mold is The Stock Horse Gelding was introduced in 2002 as the porcelain "Sir Buckingham" and returned in 2014 as part of Breyer's cellulose acetate regular line. The mold was sculpted by Sommer Prosser and is Breyer mold #660. 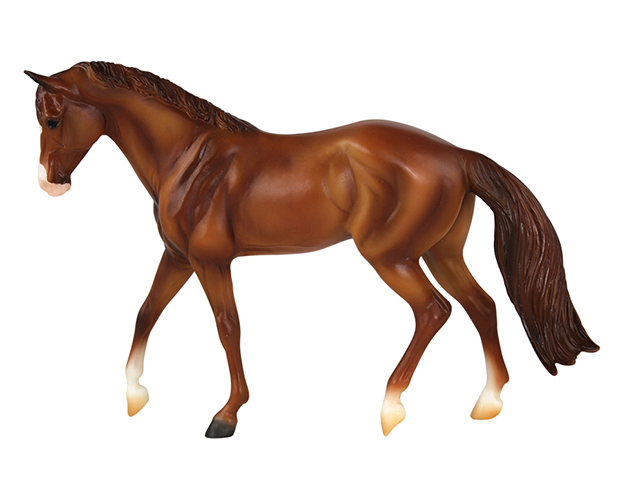 This Classics Size Quarter Horse mold is a bright red chestnut or sorrel color, complete with chrome: large blaze, and three socks.